The wp-config.php file is a significant part of your WordPress site and its security. However, managing the file requires a little bit of expertise. After reading this article, you can wrap your head around WordPress configuration and what crucial benefits you can get from it. First, it is important to know what wp-config.php is. This file stores your database configuration on your website. 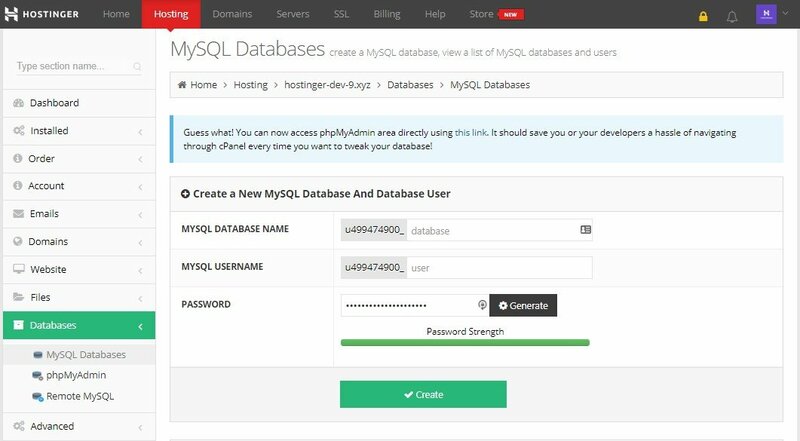 Information stored within the file is your database names, username, password, and database host. Actually, wp-config.php doesn’t come prebuilt in WordPress but is created during the installation process. It is made specifically for you. The location of the file is in the root directory of your website. In this example, the location is in /public_html. To change the wp-config.php, you will need an FTP (i.e. FileZilla), or if you use Hostinger, you can use the Hostinger File Manager, as we do. The next step is downloading the file to your hard drive. Important: Modify wp-config.php only if necessary and don’t forget to create a backup. Messing it up will cause problems. Besides that, there are several things you can change inside wp-config.php to enhance your website. You can generate Authentication Key and Salts, change your table prefix, enable debugging mode, and move the file for security reasons. We’ll explain them one by one. wp-config.php is important because you can create Authentication Keys and Salts inside the file. These will protect your website with more advanced methods by encrypting the user’s information. By doing this, you will require a series of strong passwords. You can generate them with the WordPress password generator. Once you have your passwords, paste them one by one inside the apostrophe to replace ‘put your unique phrase here’. The effect after implementation is quite strong as it will log out all users and make current cookies invalid. This way, hackers trying to pick your credentials are forced to get out. Therefore, we encourage you to change this prefix during the installation process for better security. Replacing existing prefix will make it harder for SQL injections to happen. The best choice is to opt for something complex. Otherwise, it will defeat the purpose of changing database table prefix in the first place. By default, debugging mode is turned off. Turn it on if you are committed to learning about WordPress development. Debugging mode is to notify developers after codes are being executed. This will help them look out for bugs on their website. However, considering the function, the debugging mode can still be useful for more general users. The steps to turn on debugging mode are quite simple. You only need to find the line attached below, change debug mode to true where it is originally set to false. Changing the wp-config.php location can be dangerous so performing a backup is a must. But as risky as it is, you might want to move your wp-config.php file to a new location so hackers won’t find it easily. One more safety measure is always welcome, after all. Locate your wp-config.php in the root directory of your website (as shown earlier). Remember to replace the directory above with the new location of your wp-config.php. Upload the new file to your root directory–the place where the original wp-config.php was located. If your backup file is still there, overwrite it. You are done. Your WordPress configuration file is now in a safer place. You have learned that wp-config.php is crucial for WordPress. It contains sensitive information that you should keep away from people with bad intentions. Fortunately, there are several things you can do to make your website more secure, and get more control. Just remember, you have to be careful when editing it because you might end up with an inaccessible WordPress website.